Almost risen out of the debris of war as one of Austria’s first cultural buildings, the Künstlerhaus was built. The federal state of Styria led the construction whilst the place of prominent location in the city’s park, close to the federal state government, the dome and the theater, was provided by the city of Graz. Finally, the century-long wish of the local artists as well as of a general public interested in culture and art was satisfied. This great cultural-political effort was favored by the British Allies positioned in the south of Austria and Styria from 1945 to 1955 who, in their striving for democratization of the population, put considerable emphasis on Re-Education and Denazification. 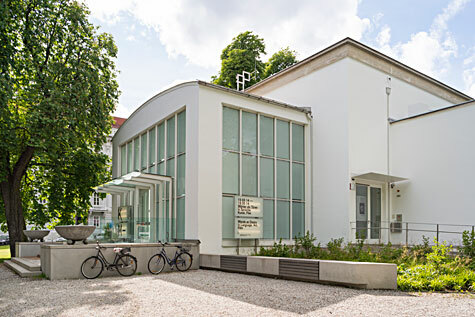 Their cultural engagement was characterized by these two key aspects, too, the new construction of Künstlerhaus being a publicly visible and permanent sign in the cityscape of Graz. 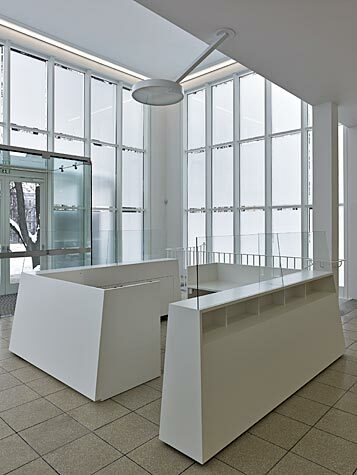 The object is based on plans by Robert Haueisen modeled on the Vienna Secession as a free-standing exhibition construction. 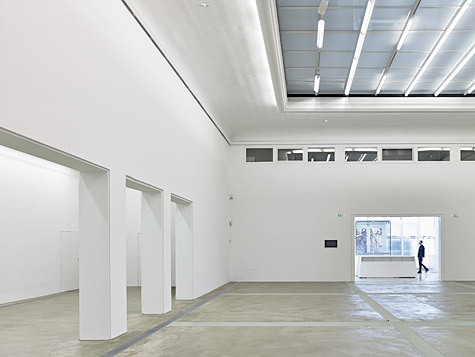 Inside the building reveals a spacious showroom with an apse-like extension on the north side. 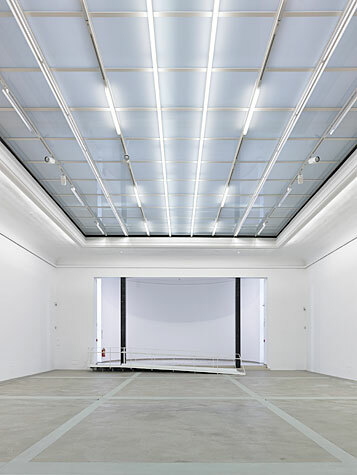 Using a steel-glass construction, the luminous ceiling exposes the main space. Leo Scheu, painter and first director of Künstlerhaus, was also engaged with the realization of the building. 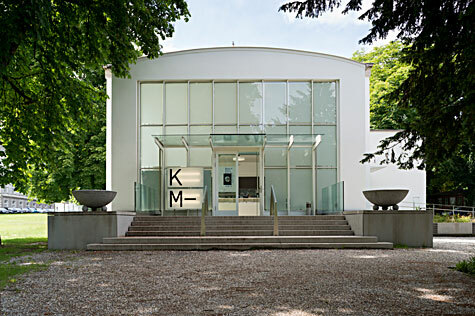 Similiar to the evolutionary history of the documenta venue built in 1955, which brought Germany back into dialogue with the rest of the world after the end of World War II, and connected the international art scene through a “presentation of twentieth century art“, Künstlerhaus is dedicated to modernism and internationality. Within this context, outstanding exhibitions were shown in the light of an inter-regional dialogue, for example „ambiente/environment“ within the framework of the tri-lateral biennial „Trigon“ in 1967. 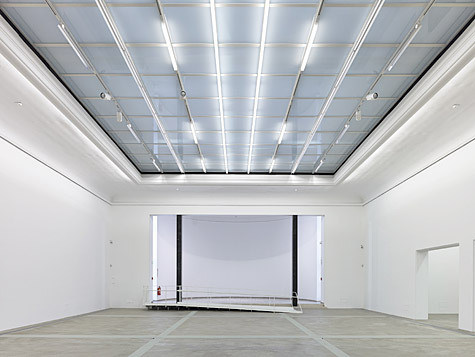 Over the two years, the Künstlerhaus building, which had meanwhile become quite aged, was renovated to its present, contemporary state by the Province of Styria and equipped with infrastructures that make it capable of competing in the international art circuit. A competition for its restoration was announced in 2010. 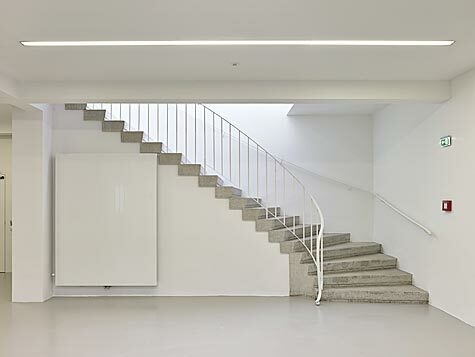 The renowned architecture firm Bramberger Architects was awarded the contract to execute the improvements in collaboration with Austria’s Federal Monuments Office. 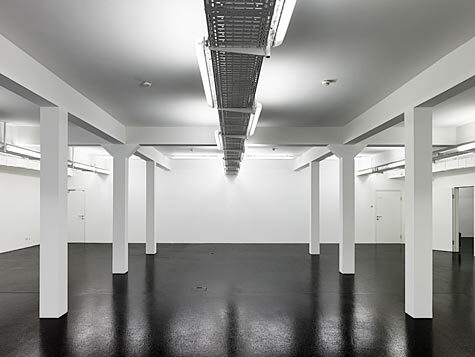 Starting on 6 March 2013, the Künstlerhaus will provide 670 square metres of exhibition space encompassing three generous premises (also separately utilizable) in a renovated, barrier-free building with a clearly improved structural fabric, also featuring improved building services, security, air-conditioning, and fire protection.